Mail: Parents may send as many letters as they want in the mail. Mail is picked up by the counselors in the office after dinner and delivered in the cabin. Campers, too, can send as many letters as they want. Twice a week, letters to parents can be turned in at the Kohut “Kanteen” in exchange for a piece of candy. Email: Parents may choose to email (once per day, per parent). These emails will be sent to the Camp Office, where they will be printed out and put in the camper’s mail box. Please note campers do not have access to the internet to send emails. Fax: Parents may send faxes at 207-539-4701. Due to the high volume of fax machine use, domestic campers are limited to receiving two faxes per week. 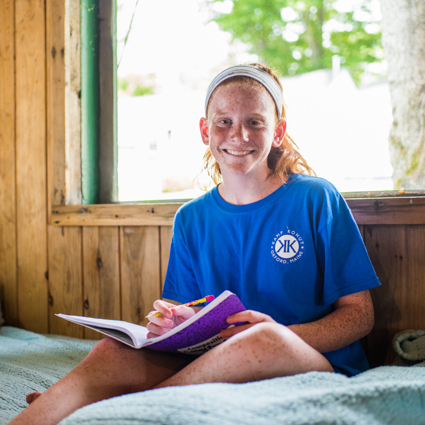 Campers whose parents are living or traveling overseas may send and receive three faxes per week. There is no fee for faxes. Parents are welcome to call the Directors anytime with questions, suggestions or concerns. We are not usually by the phone during the day –- we’re out with the children! — but we will return your call as soon as possible, sometimes late in the evening. Please leave a message with the appropriate phone number to call, and how late you are available. Email is also a good way to reach us during the camp session. We are very happy to discuss your child with you. 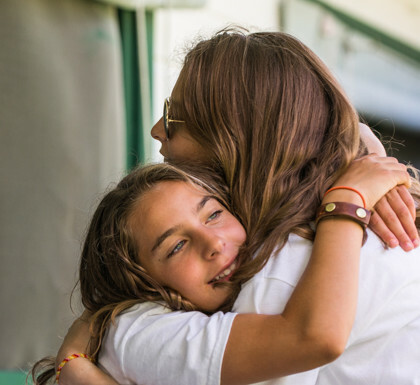 Daily Summer Updates: During the summer, parents of enrolled campers may see pictures and read Daily Updates of what is happening at camp on our password-protected page. Parents will also use this page for emailing their camper. Detailed instructions for logging in are sent before camp starts. Please see Camper Travel for details on options for arrival to and departure from camp. At Kohut, we pride ourselves in reinforcing positive values and a wholesome lifestyle. Toward this end, we have a “NO PACKAGE POLICY.” We feel eliminating packages reduces: 1. competition between campers; 2. an unfortunate emphasis on material goods; 3. attempts to break the rules by sneaking in food and candy (and sometimes presents serious health risks for those with food allergies); and 4. excessive amounts of “extraneous stuff” to pack on the way home. Should your child need something from home which he/she cannot obtain at camp (e.g., an extra pair of glasses, medication, etc.) or if he/she has a birthday while at camp, please advise our office. These items should then be addressed to your child in care of Lisa Tripler and they will be attended to personally. Because we are a four-week program, we do not have a Visitors’ Day. We encourage families to walk around on Arrival and/or Departure Days. Parents will have the opportunity to meet the bunk & activity counselors on these days. However, we do have an “open door” policy at Kohut; parents are permitted to visit after the first two weeks of camp. Due to our busy schedule at camp, we ask parents to please make arrangements to visit in advance and to come around lunchtime. Please bring a picnic lunch (for your family only), check in with the office upon arrival, and visit with your child at the waterfront. Lunch visits should last from approximately 12:50 until 2:30 pm. Please note; most campers do not have visitors. We encourage you to be sensitive to this fact and be discreet when visiting. No visitors are allowed the first two weeks of each session.